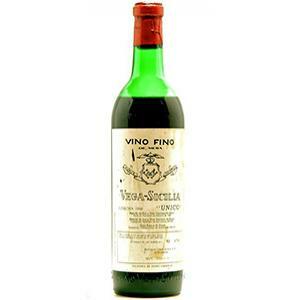 The 1948 Vega Sicilia Unico is a red wine from Ribera del Duero produced by Vega Sicilia produced with tinto fino, tempranillo and cabernet sauvignon from the 1948 vintage. The 1948 Vega Sicilia Unico is the ideal red to combine with foie and bar-b-q. At Uvinum, this red wine scores an average rate of 4 of 5 points. Raised brick red. With aromas of course reduction for its long residence time in the bottle, so that they must take oxygen before taking it. Being a big jewel, which have well-preserved, we would enter into the wonderful world of wines to be checked in situ evolution and its result state. If you want to buy 1948 Vega Sicilia Unico, at Uvinum you will find the best prices for Ribera del Duero red wine. Get it now at Uvinum, 100% safe, fast and easy. We bring you the largest catalog of more than 59.000 products which makes us leaders in the sector of selling wine, beer, and spirits in Europe thanks to more than 38.000 customers who shop at Uvinum.